Dinner at Mirazur in Menton. 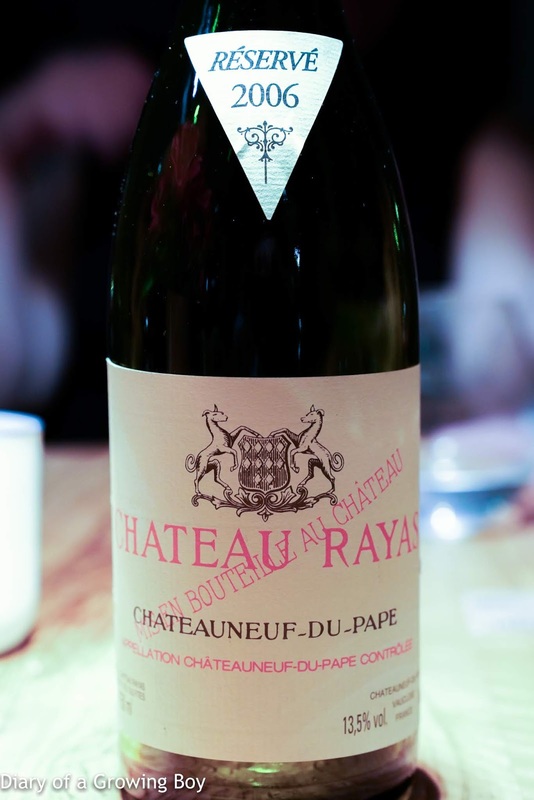 2006 Rayas Blanc - drinking beautifully, with a little acetone, very ripe on the palate, and sweet nose. 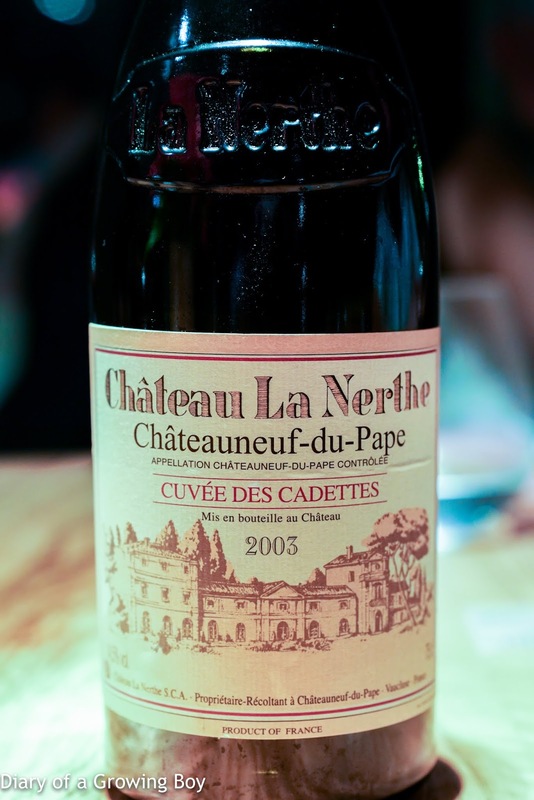 2003 La Nerthe Cuvée des Cadettes - nose was beautifully floral, with sweet fruit, mint, eucalyptus, jammy, exotic spices, cedar, and almost anise. Wow!